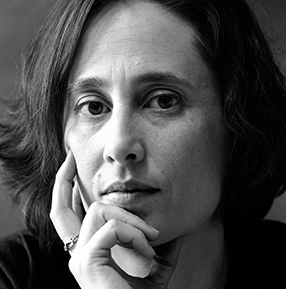 Rachel Zucker is the author of ten books, including SoundMachine (forthcoming from Wave Books in 2019). Her other books include a memoir, MOTHERs, and a double collection of prose and poetry, The Pedestrians. Her book Museum of Accidents was a finalist for the National Book Critics Circle Award. A recipient of fellowships from the National Endowment for the Arts, MacDowell Colony and the Sustainable Arts Foundation, Zucker teaches poetry at New York University. Zucker is the founder and host of the podcast Commonplace: Conversations with Poets (and Other People). She is currently working on an immersive audio project (also called SoundMachine). In 2016 Zucker wrote and delivered a series of lectures on the intersection of poetry, confession, ethics and disobedience as part of the Bagley Wright Lecture Series. These lectures will be published in a collection called The Poetics of Wrongness. Please contact Rachel here if you would like to have her visit your classroom, bookstore or organization to talk about poetry, podcasting, audio or a variety of other topics. Subscribe to Rachel’s new podcast, Commonplace: Conversations with Poets (and Other People).